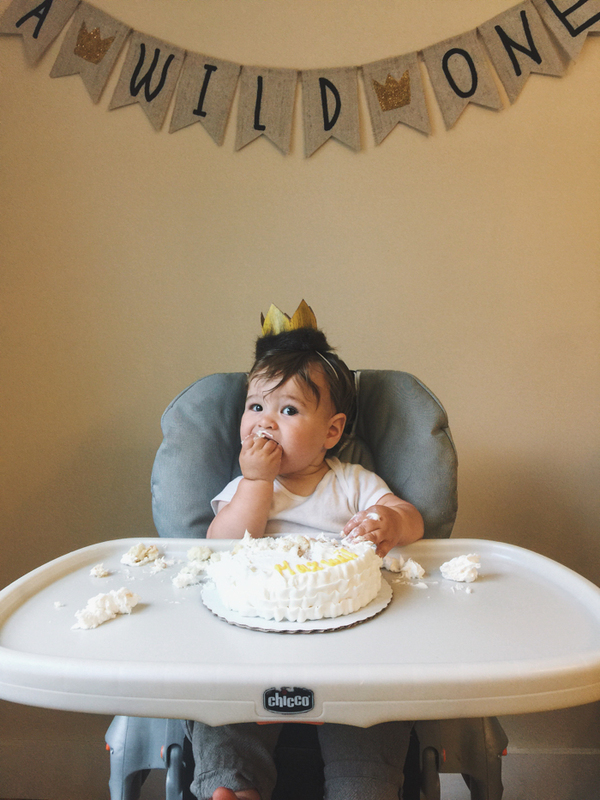 Lauren Rebecca: Maxwell Turned 1. My Bubs turned one year old on June 9th. When they say that time goes quicker with each child, I believe it because I have lived it lately. The time has flown without asking if anyone wanted it to slow. 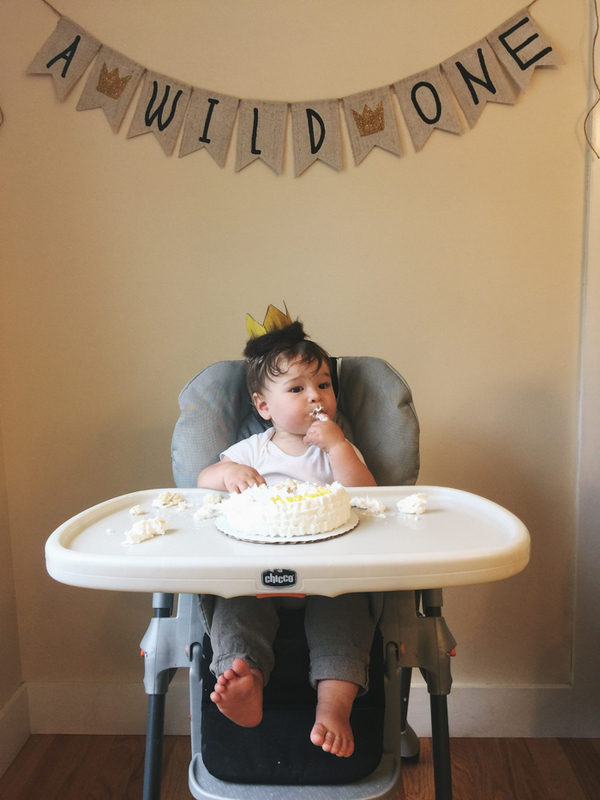 Maxwell walked just shy of his first year birthday and grew 6 teeth. Almost a month later and he is all over the place. No rest around here. I do not remember Scarlett being this mischievous...but maybe I don't recall correctly. 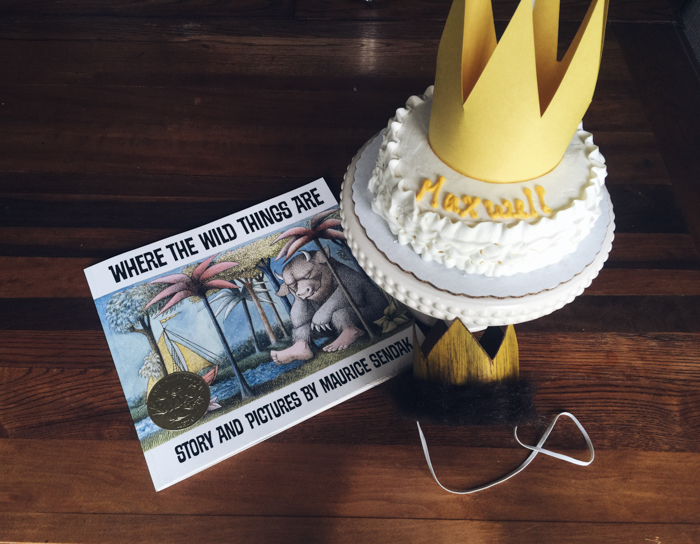 For Maxwell's first birthday, we had a small gathering with just immediate family and one friend. There is something to be said about small gatherings. I love throwing a big ole' party but I often enjoy the simple get togethers much more. No fuss, no hosting, just drinking a glass of wine and enjoying good company to celebrate a special time. This is what we did for my dear Maxwell Theodore. I have found that with our second child, we do things in a much more simple manner. Not that we don't put thought or effort into it, but we know the second time around that they don't need all the frill and lace. They only need love and a few good times. 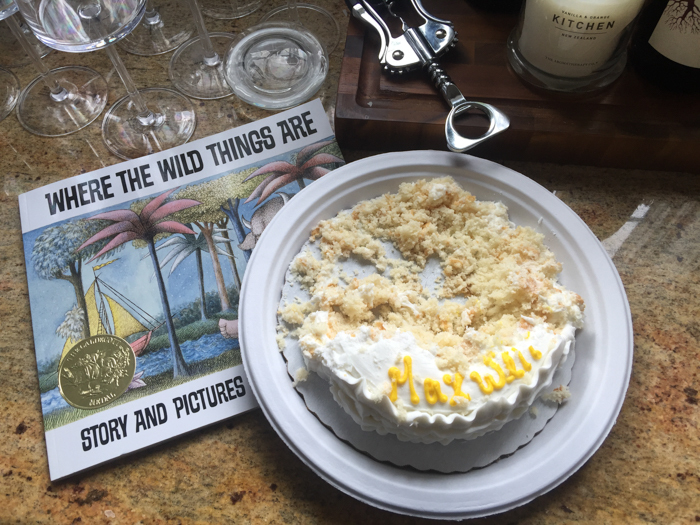 We did a "Where the Wild Things Are" theme. It only seemed fitting since my little Bubs is a bit of a wild thing lately. I bought him a smash cake and unlike his dainty sister at this age, he dug right into that cake. We had planned on having a cookout but the weather did not cooperate and so we held the party inside. Since we had a small gathering, all was well with that. We did shish-ka-bobs, rice, grilled asparagus and of course, cake. 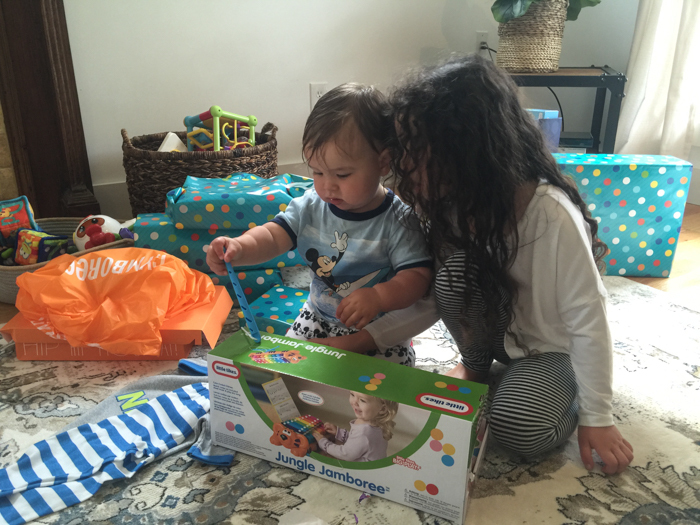 Maxwell got a few gifts and his favorite of all was a red push tricycle that can grow with him over the years. 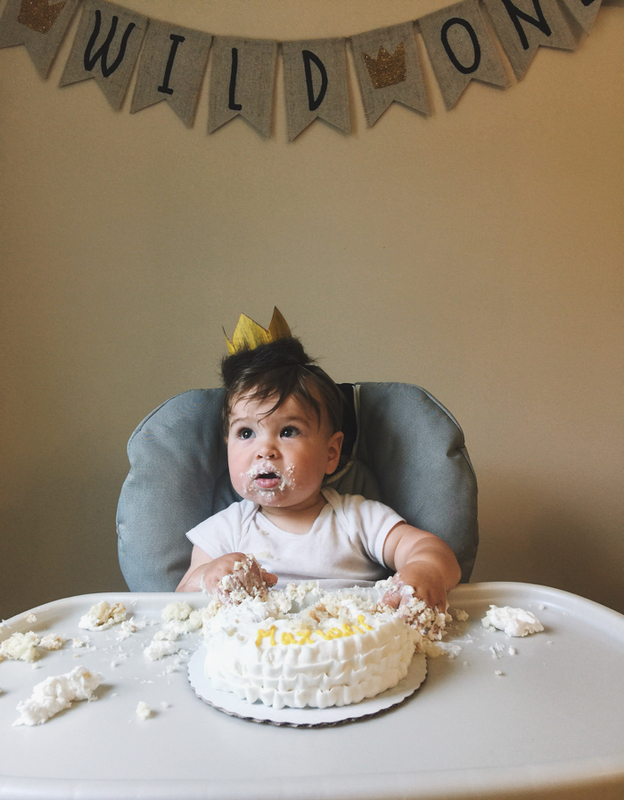 My sweet Maxwell won't remember his first birthday. He will only have this post and some photos to look back on. But I am here to inform him that he was so loved on his first birthday. His Nunna, Opa, Auntie Erica, Uncle Sean, Cousin Elyssa and Jameson, Grandpa and Grandma Doris and sister Scarlett were all there to wish him another wonderful year. Happy Birthday my beautiful boy!! I love you more than life. love it! Simple parties are awesome! Happy belated bday little one!